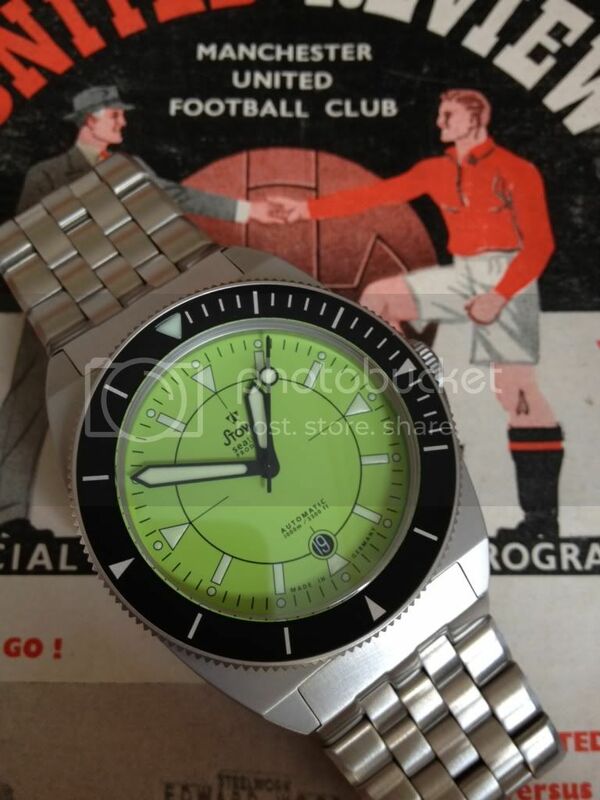 Anyone has a prodiver with orange dial? WatchDialOrange, NikAlex, hun23 and 4 others like this. WatchDialOrange, hun23, senna89wc12 and 5 others like this. Here's my blue Prodiver with blue bezel. The dial and bezel are much closer in color in lower light conditions, appearing dark blue. The flash makes the bezel appear black. Last edited by soaking.fused; April 21st, 2014 at 04:25.
hun23, senna89wc12, WatchDialOrange and 2 others like this. Let me throw mine in the mix. WatchDialOrange, marlowe55, Kid_A and 1 others like this. All these pics kinda make me want to collect them all! I imagine I'm not the only sick one. senna89wc12, WatchDialOrange, marlowe55 and 2 others like this. My Prodiver with silver nickel hands. Next mod is a custom-made strap. The black bezel is something I plan to add in the near future. WatchDialOrange, marlowe55, Kid_A and 2 others like this. 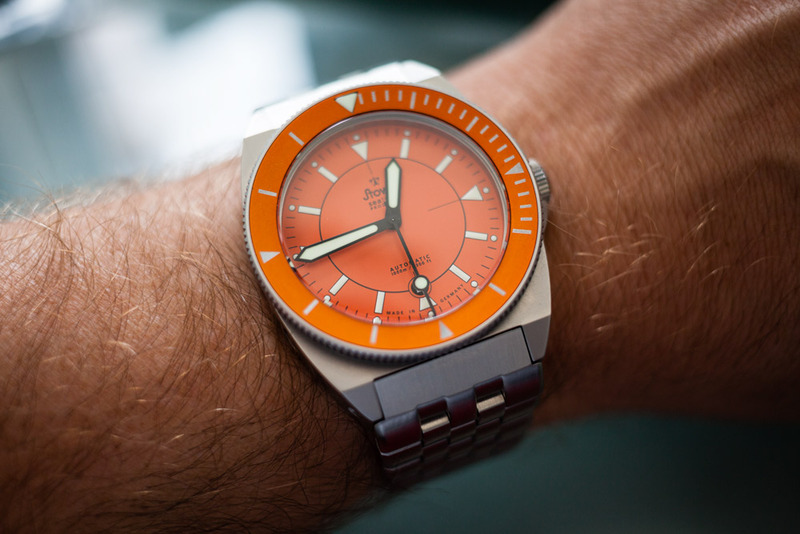 Looking at all these pictures builds the anticipation of receiving my first Stowa today! 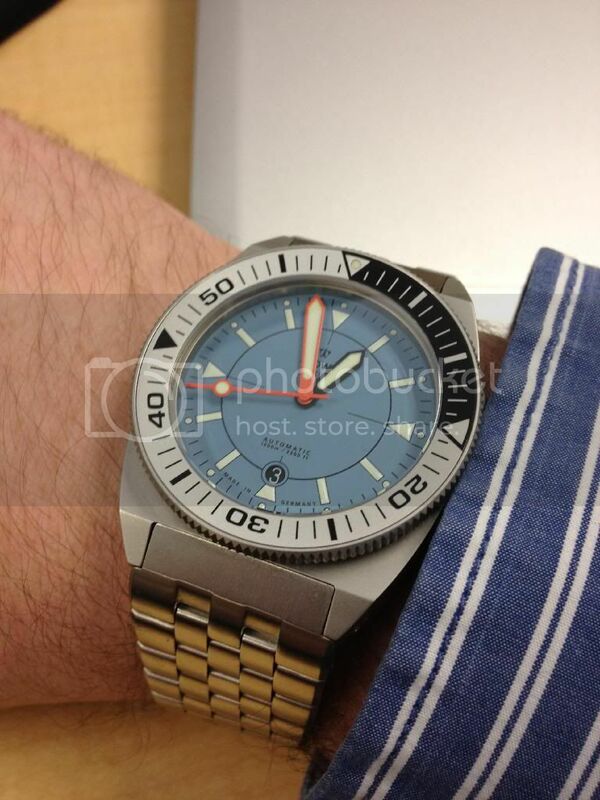 I have a carbonfiber dial Prodiver on it's way right now. It should be delivered around 4:00 PM! platinumEX and WatchDialOrange like this. Can't wait to see pics please post them here!! Thanks, I will definitely post some up!